I've already expressed my love for Astrid and Miyu in a few other posts here and here but I wanted to share with you one of their beautiful necklaces I got off my boyfriend for Christmas. 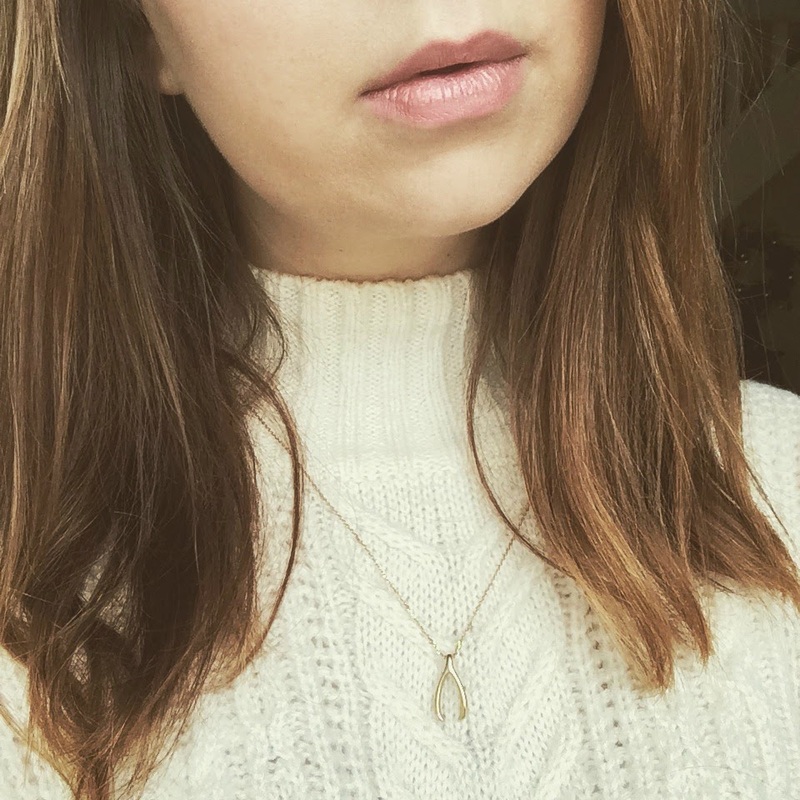 I'm in love with dainty necklaces at the moment and I was lucky enough to receive the Astrid and Miyu long chain Wishbone necklace from my boyfriend. It's the perfect delicate necklace, the right length of chain without being too long with a lovely little wishbone at the bottom. I think it looks lovely over big chunky knit jumpers but also paired with another small necklace that's shorter in length. Now I just need to eye up my next purchase from their website- is anyone else seriously obsessed with their jewellry at the moment?! I love it...and want it! Thanks for the link to the website. Am loving the pretty rings too!